All Portola Springs homes currently listed for sale in Irvine as of 04/19/2019 are shown below. You can change the search criteria at any time by pressing the 'Change Search' button below. "QUICK MOVE IN! 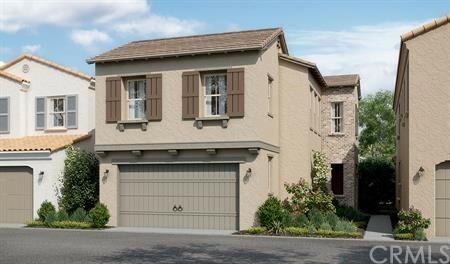 Brand new home in Portola Springs, Villages of Irvine. Welcome to Juniper by Richmond American Homes! This beautiful home features 4 bedrooms plus open loft and 4 baths and has the ideal location of a corner lot! The home has an array of upgrades including a fully-equipped kitchen with white maple cabinetry, GE stainless steel appliances, quartz countertops with coordinating subway-style backsplash, walk in pantry and center island. The great room includes bi-fold doors to the private backyard and outdoor California room. Other upgrades include an extended laundry room on the second floor, 8 foot interior doors throughout home, upgraded electrical, interior paint and upgraded flooring throughout. This home also includes new home energy efficiencies and warranty programs. Construction completion is scheduled for June 2019."